I have been using the same concealer for ages now! As you may now if you read me since the beginning, I have only started to wear make up about one year and an half ago. And since then, I have been stuck with the Lasting Perfection Concealer by Collection. Yes it is lovely but was time for a change. I am not a spender when it comes to make up so I always like to get something pretty awesome, for a good price at any drugstore. There was a time a couple of months ago (maybe), where so many YouTubers and Beauty Bloggers were raving about this product but every time I was at Boots or Superdrug to get it, they did not have the right shade for me so I gave up for a while. Then, I found it. Light shade was there for me and even though it is not light enough to use as an highlighter, it is my perfect concealer shade. 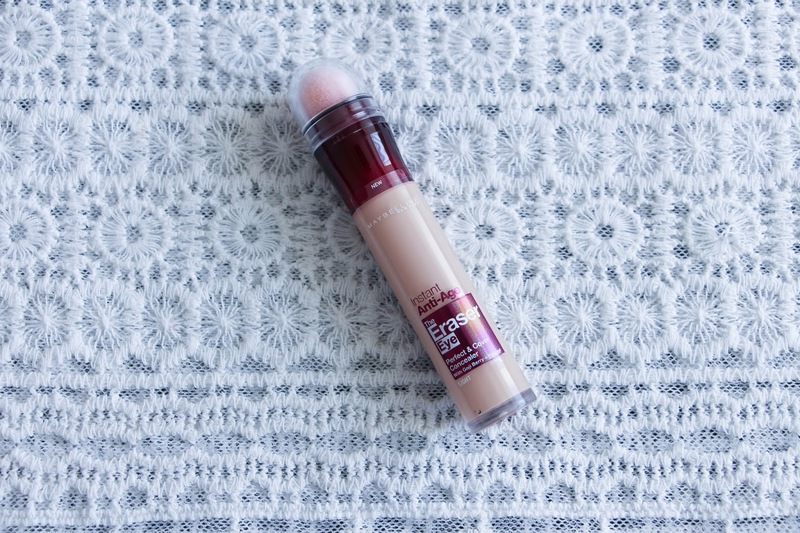 I have been wearing this concealer non stop since I bought it and let me tell you: it is freakin’ amazing! I prefer this formula to the Collection Concealer. It is much creamier, so easy to blend and it has an amazing coverage. It does not crease or fade. I love the sponge as an applicator and one little detail that I like is that you can see how much is left. So it will never go unnoticed if it is running out. I wish they did foundations like this! I am in love with this. What about you? Have you ever tried this concealer or do you have any from the drugstore that you think I should try? Let me know!